Engaging with students during the college selection process and encouraging them to learn more about CUNY institutions. 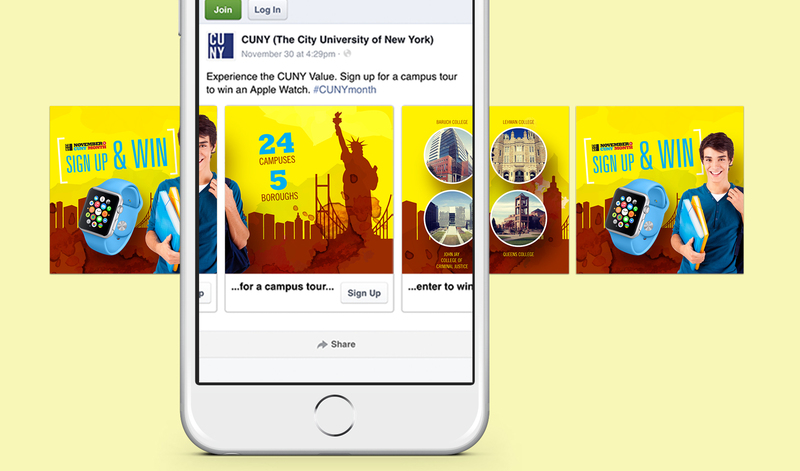 A campaign that highlights the CUNY Value and motivates students to sign-up for campus tours. Randomly selected participants were awarded with Apple Watches. In order to boost viral opportunity, a referral campaign was added, where current students could refer friends and also win an Apple Watch. 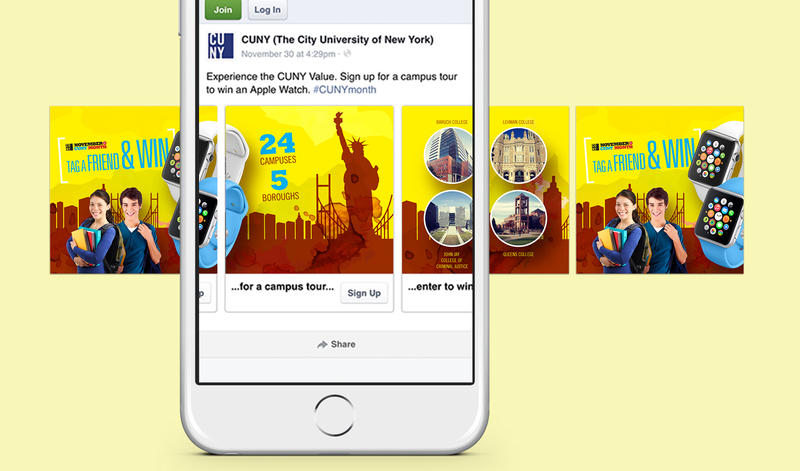 In total, 2,159 students signed up to take campus tours of CUNY colleges in one month, 89% opted-in to receive email communications, and campaign messages reached over 1,300,000 potential students while generating 30,000 clicks to campaign websites.